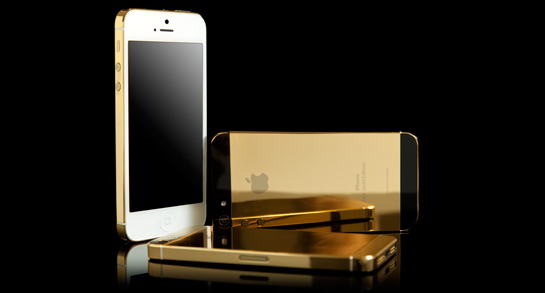 Home Technology Experts Explain Why Golden iPhone is Risky? Experts Explain Why Golden iPhone is Risky? Recently, Apple unleashed their luxurious iPhone with innovated gold-colored,draws controversy to experts that it would be too risky to anyone who posses this kind of gadget. The said model is the iPhone 5S featuring gold embellished body, (which also available in silver, and grey color) features an A7 chip, a Touch ID fingerprint identity sensor, ultrafast LTE wireless, an iSight camera with a larger 8MP sensor, and iOS 7 and iCloud. If it is really true, a gold-colored iPhone would make a product that is already attractive to criminals, even more attractive, said Eugene O’Donnell, a former New York City Police officer and now a police studies professor at the John Jay College of Criminal Justice. “The reality is that crime tends to mirror fashion trends,” he said. “Any flashy, new, fashionable trend-setting device is going to elicit attention from consumers and criminals.” He added.